Whether you want to promote your brand or offer superior customer experience, this Imprinted Sling Crossbody Bag is the ideal choice to make. 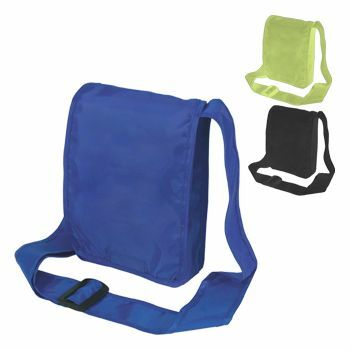 Made for people on the go, these bags are highly spacious and super versatile. By adding your brand logo on the front flap of this crossbody bag, you can rest assured that all eyes are on you. 6 X 2 X 8"
Make a Statement with the Imprinted Sling Crossbody Bag! Our printed crossbody bag is all you need to make your brand appear flawless in the eyes of your customers. By offering these bags to your customers when they shop at your store, you can enhance their overall experience with your brand while also improving customer satisfaction. Made from quality materials, these crossbody bags offer space for customization. 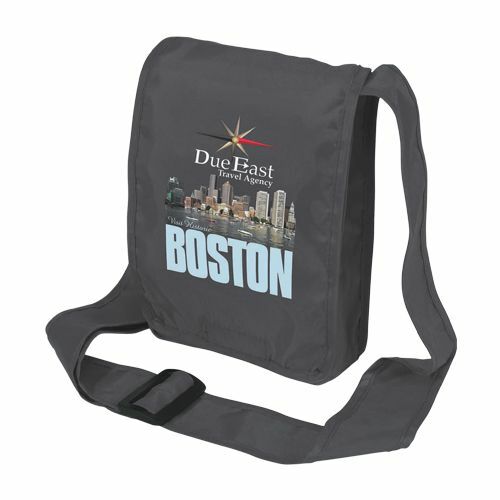 You can add your logo or any desired print on the bags to promote your brand and enhance exposure.